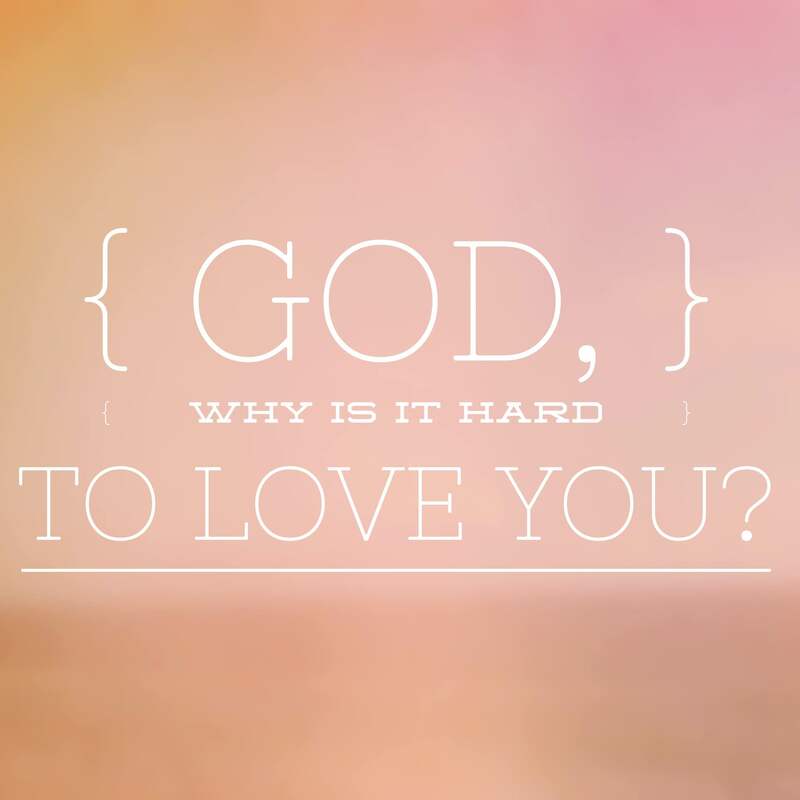 God, Why Is It Hard to Love You? You’ve been there before right? Telling God how much you love Him. Praising Him for all of the good times. Thanking Him for making it through all of the difficult seasons in life. We’ve all been there before. It seems more times than often we can give God great lip service. Surely, God is the center of our life. Surely, He is the best thing that has ever happened to us. Surely, He’s been there for us through the good, bad and the ugly. But wait… Why do we have a problem with loving God? Love, as we know it, is an action. It is a verb, meaning we should be acting upon the love we say we have. What I want to draw to your attention in this post is how our love should be lived out daily, not just talked about daily. In particular, our love to God. Our love to God should come out of obedience. Here’s why I believe this: Take a look at this verse. This verse continues to work on my heart. In other words, Jesus is saying here, “if you really are about that life, if you really are down with me then you will follow what I say.” He didn’t quite say it like that but sometimes I translate in the hood version so I can better understand. Here’s my thought towards obeying and following Jesus words. Following Jesus commands is not a bad thing. Think about it, what bad in your life can come out of following Jesus? I’ve been there before. Being full with hatred in my heart, not quite understanding why it was there, I had to desperately seek God for years. I had to cry out to Him, have long talks and walks with Him. Many times I had to ask God to rid the anger and hatred in my heart. I still don’t fully understand why this hatred was there. All I know is, God, over the years helped me overcome this hate. Maybe, you need to allow Him to do the same for you. My last thought towards why it is hard to love God is the love we are to have for our brother(s) and sister(s). If the love of God is in us then how can we hate another human being? If God’s love is in us, how then can we say I hate this person? We love a God we have never seen and we hate a person we have seen? Nah, that is not the love of God in us. P.S. God wants to destroy the hate in your life and fill it with love. Trust me, He had to do this for me!